I want to not have caught a sore throat and sniffle. I want to not feel flat and listless today. I want to know what nice thing to do to cheer myself up, and have the energy to do it. I want my puppy not to be sick. It makes him so miserable. I have been up for him three times in the night, including getting him grass from the garden at 2am because it helps his tummy; I have cleaned poo from three different rooms this morning; and I have had him in the shower three times since last night to wash his poo-streaked bottom. I hate it when he tries to climb on me in the shower to get away from the water. It breaks my heart. This is also not that unusual. I want to have a year of maternity leave on full pay. I want my garden to not be a mud-patch. After being bumped by an old man who should have his licence revoked as he reversed into us yesterday, I want the new car we were planning on getting next year right now. It scared me. 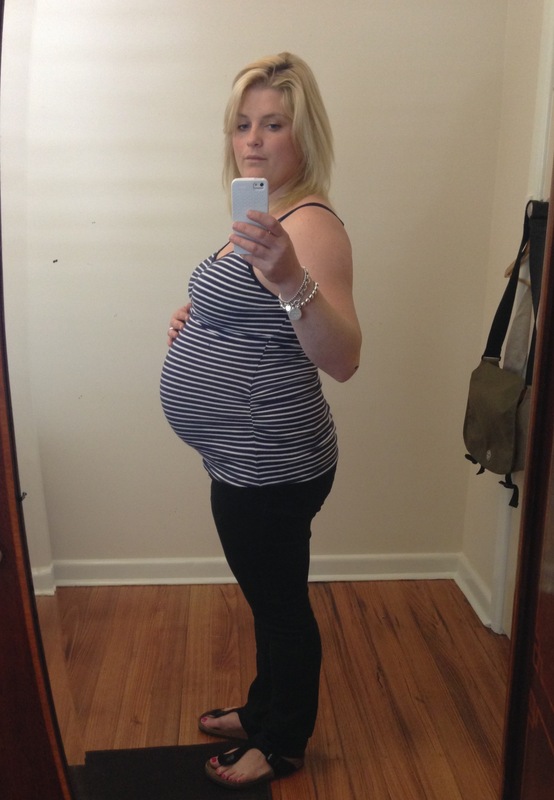 I want to meet my baby, but only after a manageable, safe and normal birth. I want to fit into my old clothes, but that will not be possible even post-delivery. No-one needs to see what is happening to my thighs right now. I made myself miserable the other night looking at how skinny we were on our honeymoon. I want my swollen hands to deflate so I can wear my engagement ring. I feel naked. I want the groceries to be done.